It is normal for most homeowners to feel the need to renovate and do a makeover to their homes. One of the easiest ways of doing it is by upgrading your windows. Windows have the power of changing the whole look of the house. Moreover, it can change the style of the home following its style. While many can have a hard time deciding which window replacement to choose, some choose to consider the trends that most designers and contractors choose for their clients. Make 2018 the year to replace any older windows. Black frames can come in almost any type of material, making it a versatile choice for your window installation. At the same time, choosing strong and bold lines as window frames and panels is a safe choice, yet a distinct one and does make a statement. In fact, many homeowners prefer the style of modern day farmhouses for this aesthetic. In line with the contemporary feel and aesthetic of the house, homeowners are also after creating clean lines when it comes to their home’s exterior. According to many designers and home contractors, more and more consumers are seeking squared-off edges and crisp lines. In many cases, they’re desiring the look of aluminum/steel-framed storefront windows, but at a more palatable price point. More and more homeowners are also veering away to softer home architecture and prefer stronger and more chic lines installed on to the exterior of their houses. Arches are out, squares are in. Arched-top and similar curved shapes may appear dated for some of today’s more popular home styles. What was once a custom, luxury option out of reach to most homeowners is now available in mainstream models from a handful of manufacturers. The growth in outdoor living has driven demand for opening glass walls and lift-and-slide doors, as well as larger windows mulled together. The main purpose expansive or bigger window glass serve in general is to allow more daylight to enter into the home, or to access a more dramatic view. Many homeowners are now concerned over having energy efficiency because of the rising utility bills almost everyone suffers. In fact, it s now a trend in new houses. Of the options available, the foam-insulated vinyl windows with double or triple pane glass filled with argon gas are a very popular option. They create an airtight seal for your window openings. When it comes to choosing energy-efficient windows, you’ll want to look for windows that have been Energy Star certified. 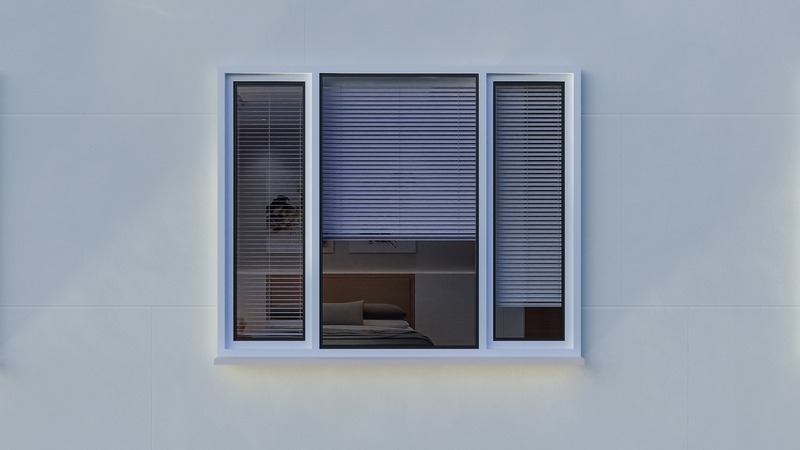 This means that they have been tested and meet certain standards that are set by the Environmental Protection Agency, ensuring you get the maximum benefits from your new window. People are more generally after wood that are classic-looking and elegant just the way it is. Designers and contractors say that the most common option for wood windows are traditionally pine. However, shifting to a more modern, clean appearance, more and more go for white oak and mahogany, which boast a more subtle grain and a fine-furniture feel. This is also because of another trend from 2017 that continues to play a part in this year’s trends: natural window treatments. Blinds and shades of bamboo and woven cotton will remain popular among homeowners looking to dress up their windows.